Ontario Philharmonic (OP) is integral to the landscape of Ontario’s classical music scene. OP continues its emergence as one of the most exciting orchestras in the Durham Region/Toronto/Greater Toronto Area (GTA) areas, earning its place among the leading performing arts organizations of the province. 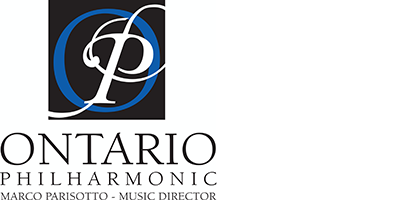 OP is comprised of players that are among the finest professional musicians in the GTA and is led by one of Canada’s most distinguished conductors on the international scene, Marco Parisotto. OP’s early history began in Oshawa, Durham Region, where it was founded in 1957. OP continues to win the acclaim of both critics and audiences. OP is comprised of up to 75 musicians and performs its main concert programs at the University of Ontario Institute of Technology’s Regent Theatre in Oshawa and at Koerner Hall (TELUS Centre for Performance and Learning) in Toronto. The Orchestra also performs in various other venues in the GTA. Although the great symphonic and choral/symphonic repertoire is its mainstay, the OP’s programs reflect a wide variety of styles from Baroque/Classical/Romantic/Modern to light classical, pop music, jazz, and world music, in an effort to satisfy the tastes of audiences of all ages and diverse cultures. JUNO Award-winning composer Vivian Fung has a talent for combining idiosyncratic textures into large-scale works, often including influences such as non-Western folk music, Tibetan chant, and Brazilian rhythms. Recent works include Aqua, commissioned by the Chicago Sinfonietta and inspired by Chicago’s iconic Aqua Tower; Violin Concerto No. 2, commissioned and premièred by the Toronto Symphony Orchestra with violinist Jonathan Crow; and Biennale Snapshots, a 25-minute work for the Vancouver Symphony Orchestra (VSO), premièred in the VSO’s 2015/16 season-opening concerts. Among her upcoming commissions are a new work for James Sommerville, principal horn with the Boston Symphony Orchestra, violinist Scott St. John, and pianist Peter Longworth; and a new work for the Daedalus Quartet and clarinetist Romie de Guise-Langlois, co-commissioned by The Chamber Music Society of Lincoln Center, Philadelphia Chamber Music Society, and Chamber Music Northwest. 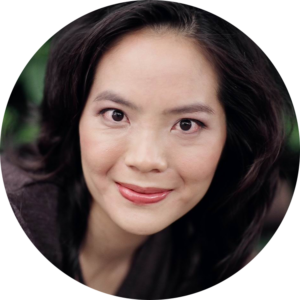 Born in Edmonton, Canada, Fung began her composition studies with composer Violet Archer and received her doctorate from The Juilliard School in New York. She was a faculty member at Juilliard from 2002 to 2010, and currently lives in California with her husband Charles Boudreau, their son Julian, and their Shiba Inu, Mulan. Launch! is a lively fanfare that celebrates the 150th anniversary of the Confederation of Canada with a pyrotechnic display of orchestral colour and virtuosity. 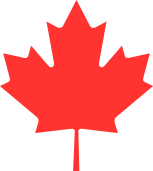 Woodwinds and strings swirl in and out, up and down, and form a vivid background for the brass to enter midway with a triumphant line that leads to a subtle quotation of Canada’s anthem. A brief but intense percussion solo heralds the way to a fiery ending.